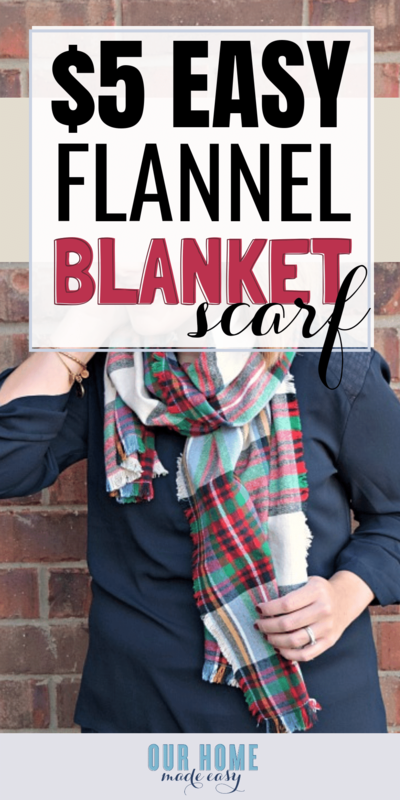 Make a $5 Blanket Flannel Scarf! 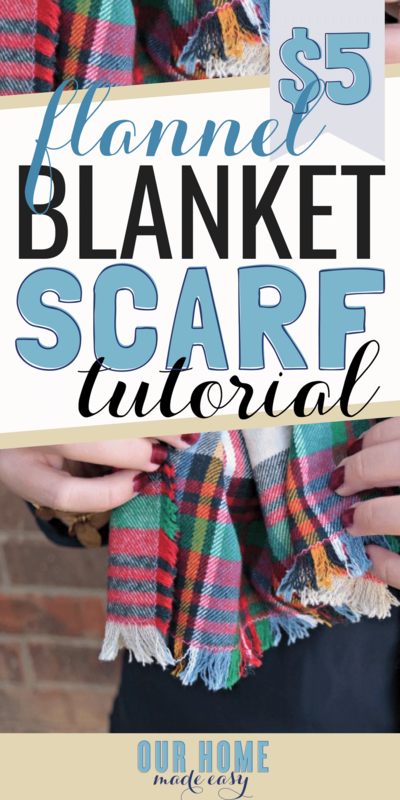 An easy how-to in making your own $5 flannel blanket scarf! You can adjust the size & choose your favorite pattern. This post contains affiliate links. If you shop from my blog, I may be compensated for clicks or purchases that you make. 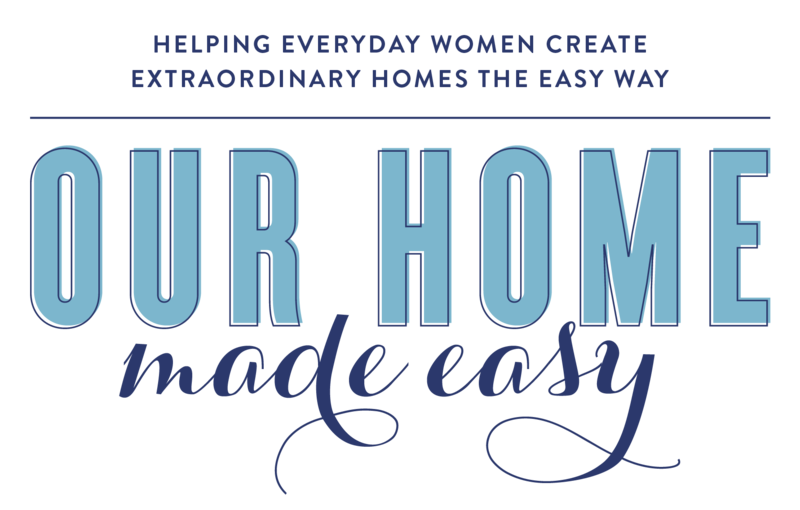 Thank you for supporting ‘Our Home Made Easy!’ Read my disclaimer page for more information. So what do we have today? 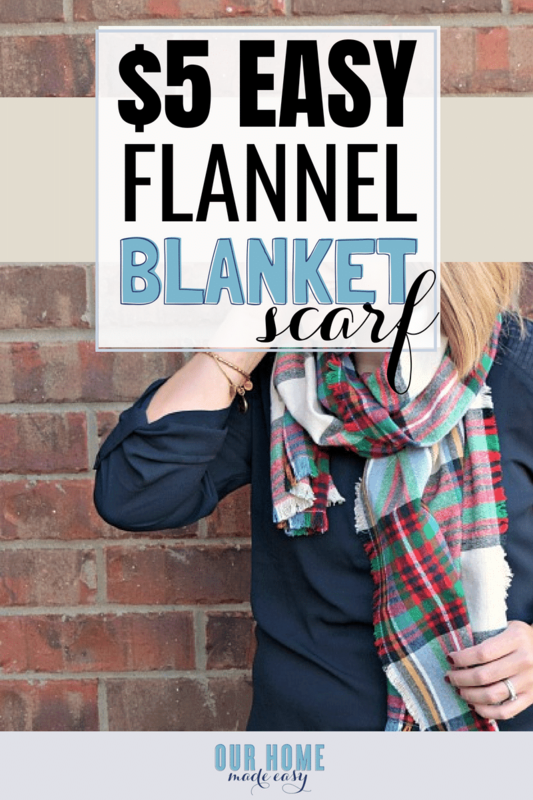 Well, I’ve fallen in love flannel blanket scarves… they are everywhere again this year. You can find them at Target, ModCloth (a perennial favorite), and even handmade ones on Etsy! 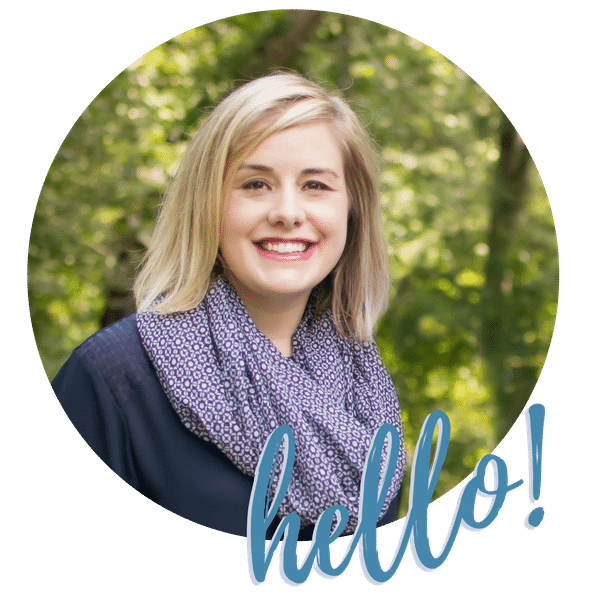 The scarves are perfect for cold Mid-Western falls and Winters. Plus, I feel like I look a little more put together when I toss on a scarf over a plain shirt and jeans. 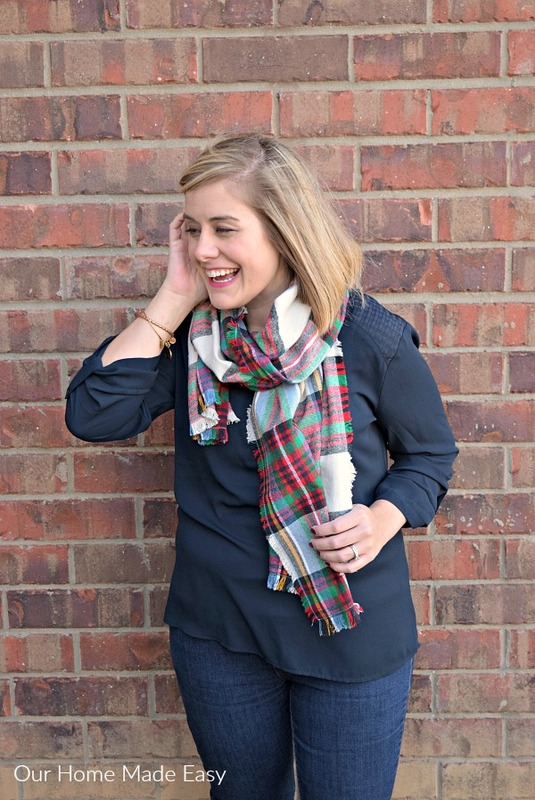 I felt empowered to make my own from Back to Her Root’s No Sew Flannel Blanket Scarf. Cassie’s tutorial is no sew and easy to do. But I needed to adjust a few things from her scarf to fit my life better. For this mama, I needed to reinforce mine for washing (so I needed to sew) AND I needed to make the fringe quickly! I bought the fabric at Jo-Anns from their Platitudes line. When you are shopping for flannel, look for apparel flannel bolts. The flannel is normally $10 a yard. For this project you’ll need 2 yards, but then you’ll get 2 scarves out of the deal. By using a 50% coupon (always use those coupons! ), I paid $10 for the fabric, aka. $5 a piece for the scarves. Pretty fabulous, right? So let’s get this scarf started! 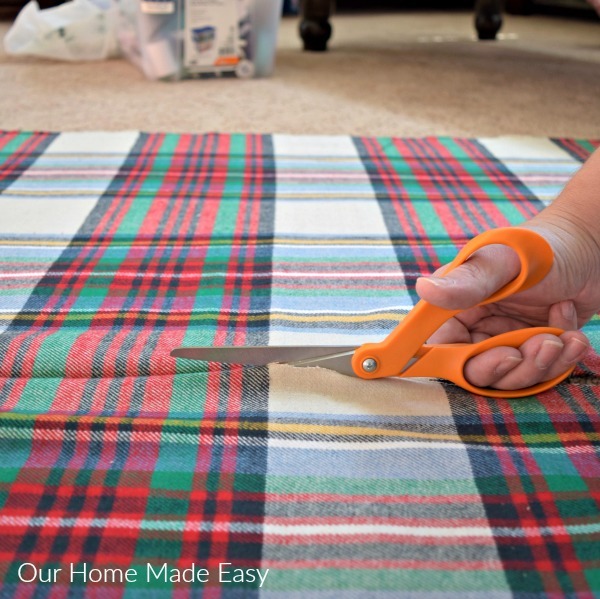 First, you will want to lay out your two yards and cut the fabric down the middle, giving you two long pieces of fabric. 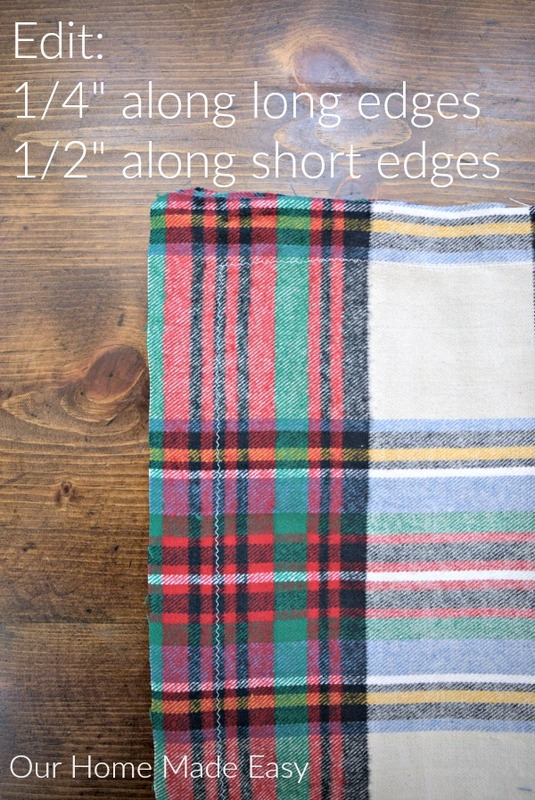 If you are looking for a square scarf, do not cut it down the middle vertically, cut it horizontally. Now you should have 2 pieces, about 20″+ in width and 72″ long. Here you can choose to cut down your vertical length to your preference. I left mine at the full length. 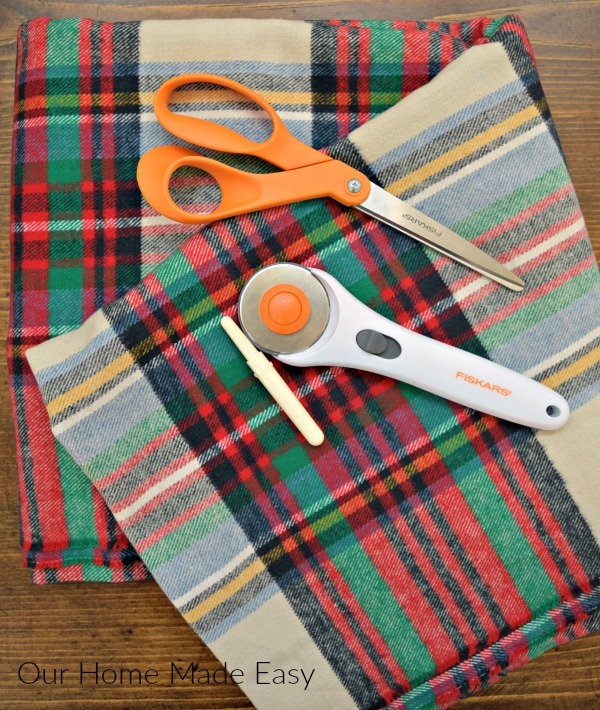 Okay, this step can be totally skipped for those who detest sewing! BUT…. if you don’t sew, you really shouldn’t wash and dry your scarf once you start manually fringing it. Skip down to finishing it off if you are choosing not to sew it. I needed to sew mine because I know that I have messy toddlers (heck I’m pretty messy, too) and I wanted to really speed up the fringing process. Learn from my mistake… do as I say and not as I originally did. 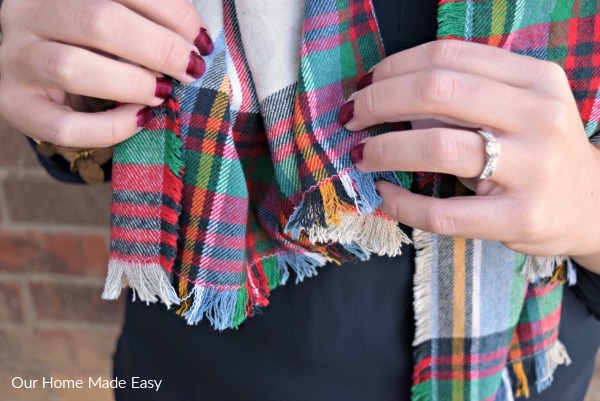 Along the long sides of your scarf, run a zig-zag stitch 1/4″ from the edge. This will allow you to fringe some, but not get too aggravated about the time it takes (learn from me, folks). Along the short edge, make the same zig-zag between 1/2″ and 3/4″ in to give you some long fringe to play with. I was a little too gung-ho and started off with 1″ wide fringe all the way around. That quickly changed before I threw it in the washer for the next step. I trimmed down the scarf accordingly. Now with your scarf stitched, lay it out completely flat on the ground. I found it really goes quickest when completely laid out. 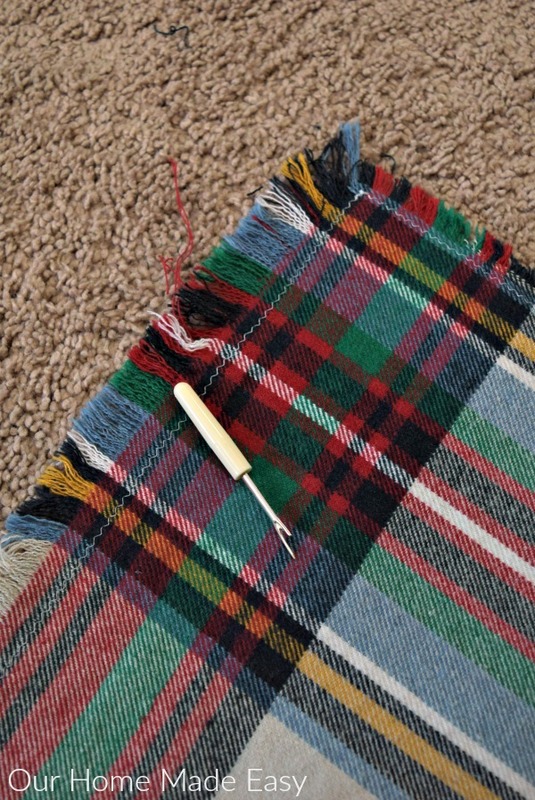 Kneeling over the fabric, use your seam ripper to take one pass at removing the first layers of the fabric. Voila! It’s beginning to look like fringe. I say one pass because you won’t want to take too long doing this. As you move, occasionally you may be able to pull the fabric just right, so that you can take out large pieces at a time. Next, you’ll want to wash and dry your scarf. I chose the quick wash option on our machine. This allows the washer & dryer to do some work too. Not only does the flannel become super soft and cozy, but it really starts to break up some of those loose threads that you started pre-washing. If you sewed your scarf anyways, you would’ve washed it regardless. Why not allow it do make this project a little easier on you? And lastly, the fun part! Let’s finish this thing. Once again, lay the scarf flat out on the floor. Kneel over the fabric and quickly work to remove the threads. I’d say the best time to do this is post-bedtimes. Then you can work quickly without having to constantly get up and retrieve snacks, juices, read three books twice, and find a toy. Tips: Complete your fringe on the short sides, then do the long sides. Start each side by opening up several layers on each end. Then move to the middle and pull up one piece and pull away. You should be able to pull out very long pieces doing this and save yourself LOTS of time! My second scarf was completed in a fraction of the time as my first. 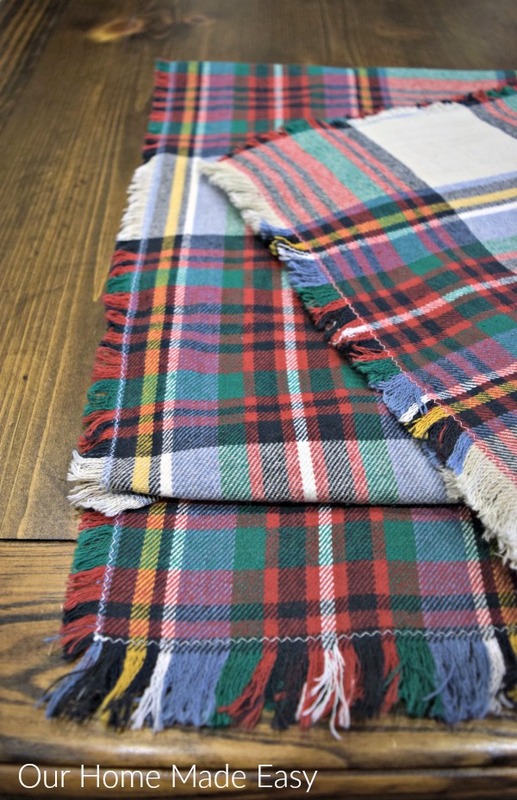 Once you have the fringe removed to the zig-zag stitch, press your scarf with a very warm iron. 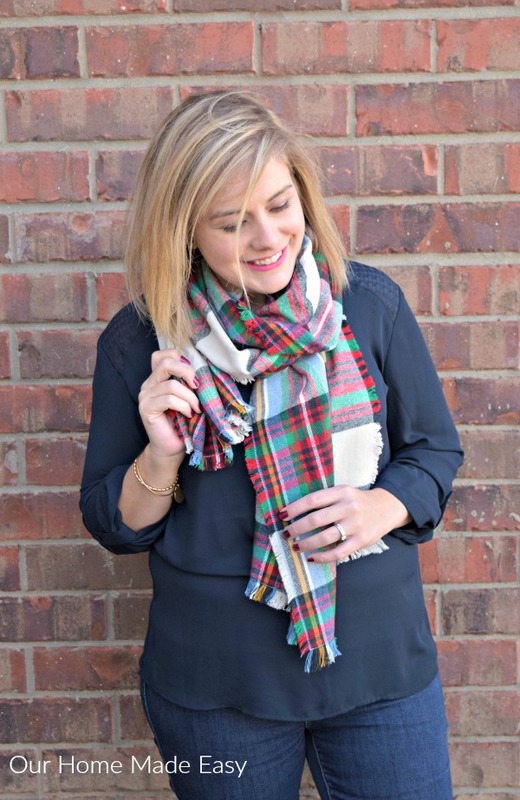 This will set the fringe and make your scarf look perfect. What do you think? Well worth the $5 investment? Hi Brittany, just found your site, love it, thank you! Silly question, I’m sure, but on this fringed flannel scarf, am I washing prior to sewing, then washing again after fringing? Thank you for your time! I don’t have a zigzag setting on my old sewing machine. Do you think a straight stitch would work for holding the fringe? Hi Katie! Yes, I think a straight line would work. If you wanted extra reinforcement, you could do 2 straight lines next to one another. Thank you for stopping by! I think i just found my “make one for everyone” Christmas gift. Thanks for such clear instructions! Is the fabric doubled and sewn together or did you make 2 scarves?